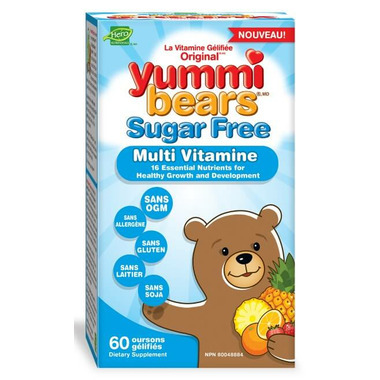 Yummi Bears Sugar Free Multivitamins provide a factor in the maintenance of good health. 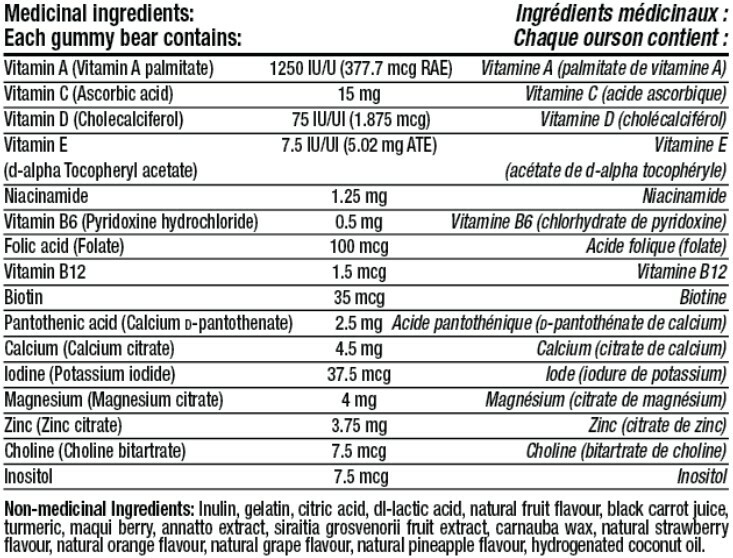 Containing 16 essential vitamins, minerals, and nutrients, Yummi Bears Sugar Free Multivitamins are naturally sweetened with chicory root and lo han fruit, and do not convert to sugar alcohols. It provides a great taste that kids love and it won't harm teeth! Children 2 to 3 years old: Parents may give each child one (1) gummy bear a day. Children 4 to 8 years old: Parents may give each child two (2) gummy bears a day. My toddler loves these but they are lacking some vitamins. Very pleased to find a vitamin that is free of so many priority allergens. My toddler loves these so much, she reminds me to give her a vitamin if I forget. I'm not sure if it's just the bottle I have, but I did find that these were quite a bit harder & less gummy than the original sugar containing Yummi Bears. I only rated it 3-stars, because there are important vitamins & minerals missing (like iron), and that the B12 source is cyanocobalamin instead of something safer.